Russian officials say they have successfully evacuated 77 nationals from Syria as the UN voices concern that time may be running out for a diplomatic solution to the civil war. The Russian nationals were driven in four buses across the Lebanese border and toward Beirut International Airport where two Emergency Ministry Services planes flew them to Moscow. The nationals included mostly Russian women married to Syrians. According to Russian sources, there are thousands of registered Russians in Syria. According to the Voice of Russia, the repatriated Russians had resided in different areas of Syria where they lost their homes and required assistance since the civil war broke out. However, Lavelle says there is no indication that the repatriation effort yesterday would signal the beginning of a mass exodus of some 25,000 Russians estimated to be living in Syria. Sources in Western media had speculated that the repatriation of Russians from Syria this week signaled a turning point in the civil war there and that Moscow could be on the verge of abandoning or downgrading its support of its long-time ally Bashar al-Assad. “The fact that Russian citizens are leaving Syria should not be interpreted as a change of policy on the part of Moscow,” Lavelle told The BRICS Post. “Russia has consistently called for a negotiated end to the civil war and repeatedly expressed its support of the Syrian people. The fate of Syrian President Assad will not alter these positions,” he added. 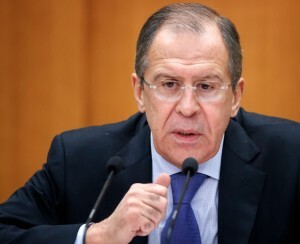 During a news conference in Moscow on Wednesday, Foreign Minister Andrei Lavrov said he did not anticipate wide-scale evacuation from Syria. Last month Special UN and Arab League envoy Lakhdar Brahimi warned that “Syria will turn into hell” unless both sides come to the negotiating table. He warned that by the end of 2013 the death toll could rise to 100,000. The UN estimates that some 5,000 people are dying every month in Syria with fatalities already reaching 60,000.